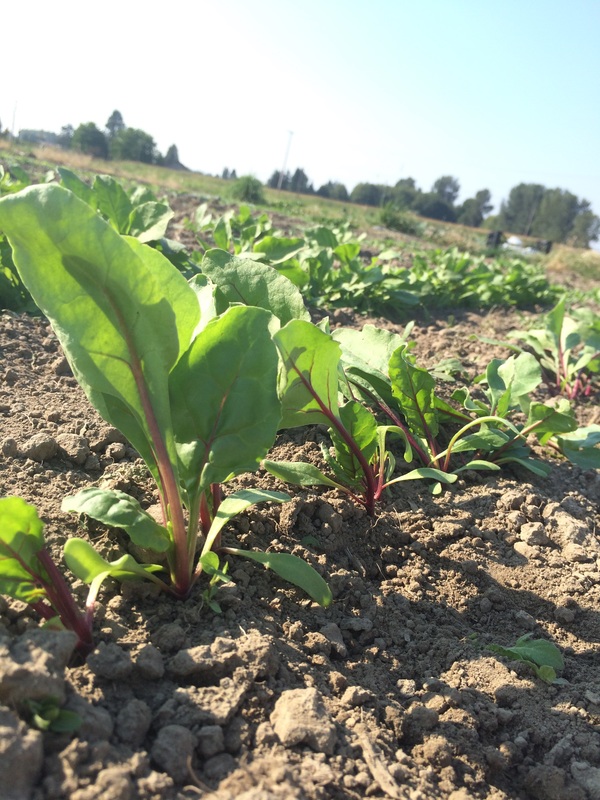 Since July, UDFB has been placing weekly orders with the Puget Sound Food Hub. The Food Hub is a network of farms and partners operating cooperatively in the Puget Sound region to market, aggregate and distribute locally produced food from farm to restaurants, hospitals, preschools, grocery stores, universities and more. We are thrilled about this partnership that lets us offer the freshest produce possible to our customers and the opportunity to support our local farmers. Michael Deitering, owner of Chubby Bunny Farm, is one of the producers for the Food Hub. 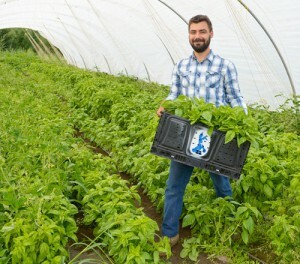 We’ve been working with Michael to develop UDFB’s first forward contract to purchase fresh vegetables from his farm for our Home Delivery program this fall. The forward contract is an agreement between our food bank and Chubby Bunny Farm to purchase designated amounts and types of produce at a wholesale rate, in which the farmer is paid partially upfront. The following is an interview with Michael about his introduction to farming, his role in the emergency food system, and why he values the forward contract model. Q: How did you first get interested in farming? A: In 2013 I volunteered at a community garden and really enjoyed it. That led me to an eight-month internship at Cloud Mountain Farm Center, which essentially taught me how to be a farmer. My passion and interest in farming was clear so I took the next logical step and Chubby Bunny Farm was created. Q: What made you decide to partner with food banks? A: Most small-scale farmers start out selling at farmers markets and through CSAs. I noticed that model was serving a very limited portion of society and saw there was definite potential in working with some of the great organizations in my community working to feed people. During the Cloud Mountain internship, I was exposed to the Bellingham Food Bank (BFB) and have been volunteering there weekly ever since. 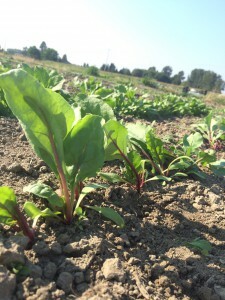 We developed a forward contract for me to grow produce for BFB this fall through their Seed Money project. The project gives food banks the opportunity to get a feel for working with farmers and farmers to work with food banks, and decide if they want to continue those partnerships. The “seed money” allows farmers to purchase seeds and fertilizer when they are needed early on in the season. 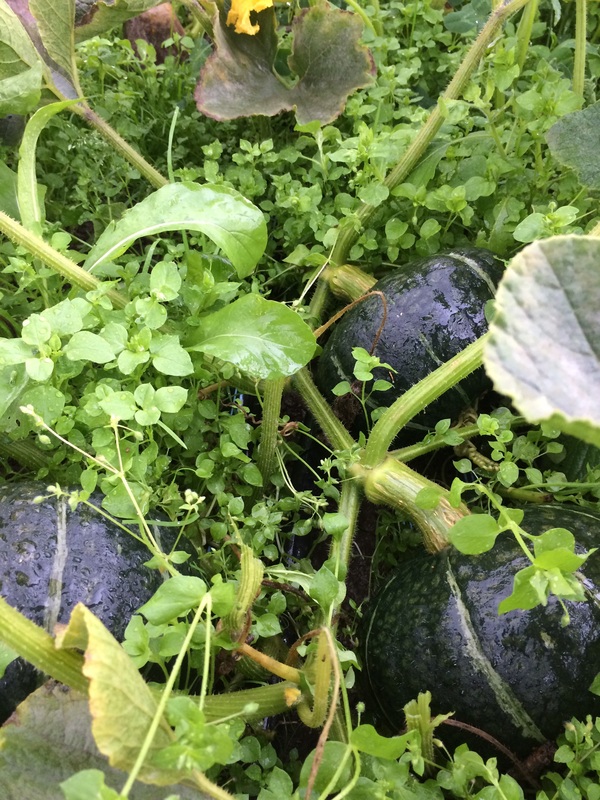 In addition to growing winter squash for BFB through the forward contract model, Chubby Bunny Farm has donated 600 pounds of salad greens for food bank clients. Q: How do you think farmers and emergency food providers can work together to improve access to fresh local produce for low-income people? A: Building relationships between food banks and small farms is key. Farmers should reach out to their community to determine the need and how best to establish early-season crops. They [emergency food providers] can use an analytical eye to identify gaps in their donations when produce isn’t coming in and then work to fill those gaps locally. Access to a certified kitchen with a processor and cold storage space is one strategy to preserve large quantities of crops like zucchini. Extra storage means I would also be able to save my leftovers from the farmers market and then distribute them to food banks later on in the season when fresh local produce is not as widely available. A: Having forward contracts is really useful because they allow me to grow and manage crops more easily, as I know their end market and harvest date. This allows me to navigate resources such as time and labor appropriately. Ideally, contracts should contain a crop mix with target percentage goals to allow for flexibility. If one crop fails, I can substitute it for another previously agreed upon crop. Forward contracts also help develop a sense of community. 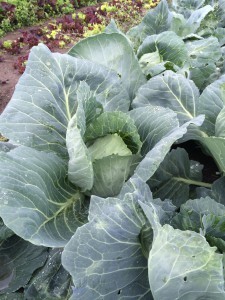 For example, I correspond with the food bank throughout the season, sending photos and updates about the crops. This keeps everyone feeling engaged and makes the food bank feels like an extension of the farm, and vice versa. Follow Chubby Bunny Farm on Facebook here.